This evening I was supposed to be in Weymouth but a combination of stomach cramps, tiredness and anxiety about the 3000 words left to write on my assignment before Monday means that instead I am sat in front of the computer in my pajamas considering an early night. I rarely sit around doing nothing, so the nights when I do are usually because another plan has been cancelled, leaving me at a loose end. 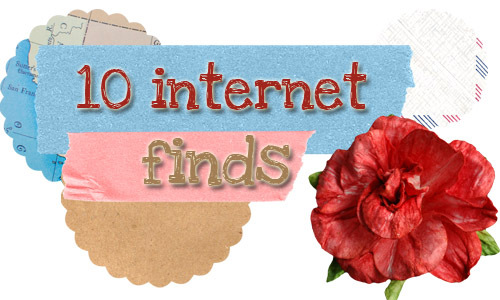 Tonight’s last minute decision to stay home has meant I’ve been able to catch up on blog reading, pinning, and a little light internet shopping and I thought I’d share with you ten things I’ve bookmarked. 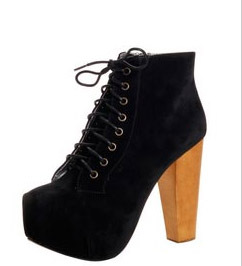 Like the rest of the world I have been coveting Jeffrey Campbell Litas for quite some time so I must admit to doing an excited little ‘oOoh’ when I saw these on Boohoo.com. At £35 I’m finding it difficult to say no! Whilst browsing through Pinterest this evening I came across Skinnytaste.com’s ‘Top 20 Skinny Recipes 2011‘ and quickly bookmarked it for when I’ve finished on Jenny Craig. The baked chicken nuggets and chicken baked with spinach and ricotta sound amazing! I can’t remember where I found the link to Sybille’s website ‘Funkytime‘ recently – a Graphic Designer from Germany, she blogs the most amazing DIYs, tutorials, freebies and printables. I want to make everything on her website! I saw this linked on Twitter a few weeks ago but read it again tonight (it did the rounds on Tumblr so apologies if you’ve already seen it). It’s a post where a nurse that worked in palliative care reveals the top five regrets people voiced before dying. A worthwhile read. Goodnight Little Spoon is one of my most favourite blogs, and I love Bianca’s idea to use Keri Smith’s 100 ideas list and do one a week. You can read about her progress here, and read Keri’s 100 ideas here. Four blogs I love this week: The Autumn Castle, South Molton St Style, Popsy, The Style Box. And a final big internet hug to The Pampered Sparrow who awarded me a Versatile Blogger award this week. I urge you to check out her lovely blog, it’s one of my favourite reads!